Book Passage Travel, Food & Photography Conference Redux! For the second year in a row I attended the annual Book Passage Travel Writing & Photography Conference in Corte Madera, California. This year the conference included a Food writing track and there were so many opportunities to sample wine and other spirits it almost felt like a mini wine blogger event. 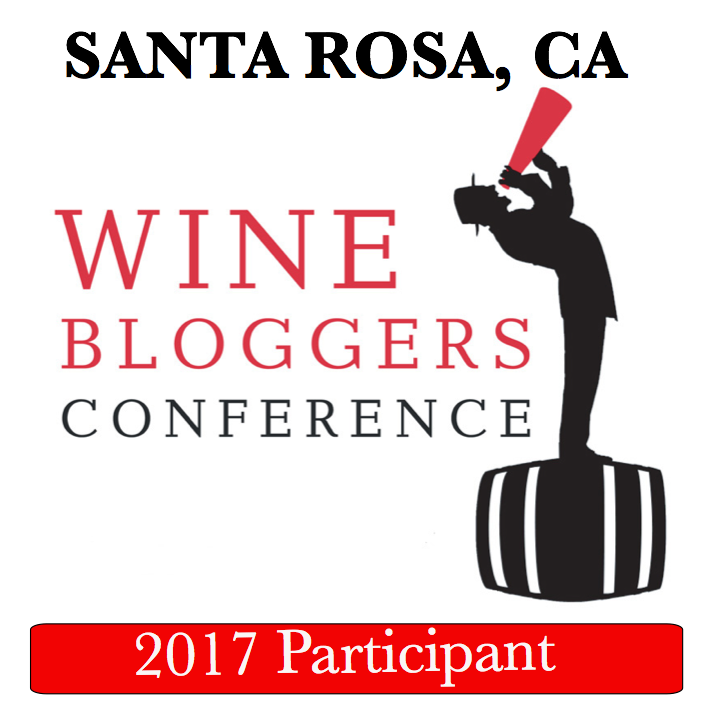 I thought the added focus on food and wine for travel writers was a perfect pairing, especially for a wine blogger like me. 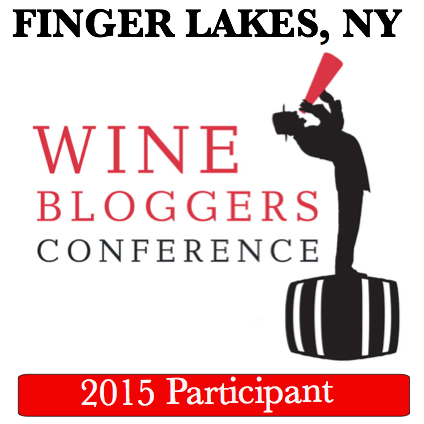 I think the gap may be closing between wine blogger and travel blogger conferences. In addition to the Food writing track, I sampled the session on Writing for Newspapers and Magazines, and some of the Photography offerings as well. I sat in on a photography session with Bob Holmes and Andrea Johnson where I learned composing a photo is not that different from approaching a story. Bob and Andrea collaborated on the book A Passion for Pinot, and their session evening included special guest Jean-Charles Boisset from Boisset Family Estates who poured some Pinot from DeLoach in Sonoma. The alumni ranks at Book Passage are full of success stories about finding agents, inking book deals, meeting a collaborator, or just getting the confidence to send out that first piece and get published. 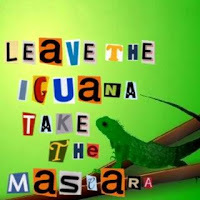 I got to relate my own personal success story at the opening gathering on Thursday night when I announced I will be the editing the next Travelers’ Tales humor anthology --Leave the Iguana, Take the Mascara: Funny Travel Stories And Strange Packing Tips. The conference has a magical quality that creates an atmosphere of possibilities. But it's more than the combination of faculty, karaoke, alcohol and camaraderie that make it special. It’s the people that you meet. I’m always as impressed by the students as I am by the faculty. The Book Passage experience is intense. It's exhausting and exhilarating at the same time. The four jam-packed days are inspiring and give you a buzz and euphoric feeling about your work that is priceless. Although I think some of the buzz and euphoria this year was due to the Absinthe. 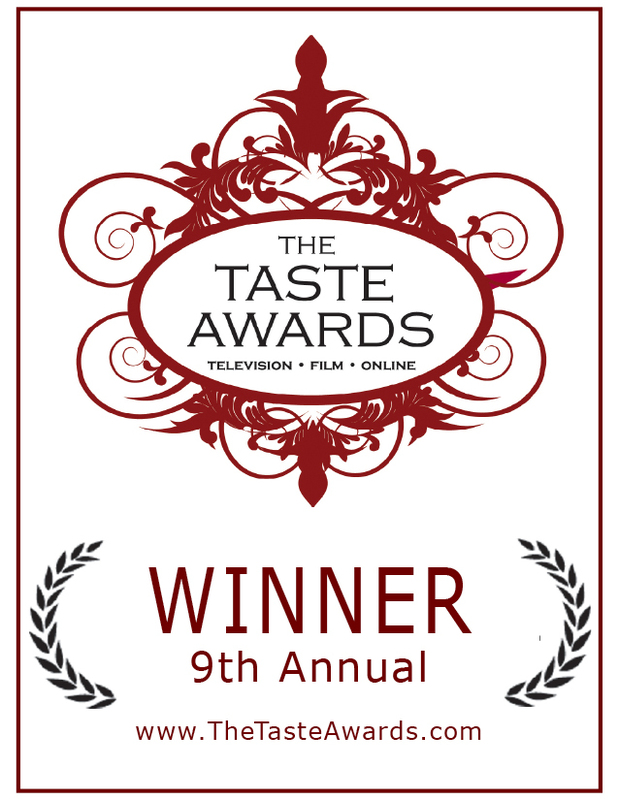 Oh, did I mention the Absinthe tasting? Oh yeah, that was amazing! Afterwards everyone got that glassy eye glow. Recognize any of these people below? At the closing ceremony, awards were handed out to the winners of the photography and travel writing contests. I won a prize for my entry in the travel writing contest. The winning story was read aloud by Don George. Don's dramatic readings are always a highlight of the conference. I think he could read the back of a cereal box and make it a transformative moment. If you are looking to boost to your travel writing career or just want to get inspired by a great group of people, you should consider attending Book Passage next year. And if you do go, here's a tip: Stay late every night. All the real connections happen after hours. Especially on karaoke night. This picture above captures the essence of the "California Wine Lifestyle" --it's the classic image seen in many glossy wine and lifestyle magazines-- Friends gathered in the vineyard, sun setting, wine in hand. Yes indeed! How did I get here is the question. Well I suppose it all started with a love for wine and meeting some very generous and amazing like-minded individuals. 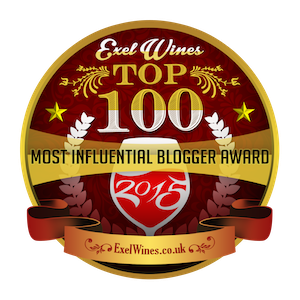 I started wine blogging to give myself a place to talk about the things I was learning. I never really considered myself a wine blogger as the bulk of the writing I do is about travel. 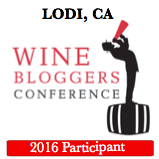 But now, after attending two wine blogger conferences and countless local wine events, I guess I really am a wine blogger. And here I am living the glossy magazine fantasy I imagined less than a year ago. The photo above was taken at Floodgate vineyards at a celebration dinner event to commemorate the launch of Cartograph Wines by Alan Baker and Serena Lourie on July 24th. 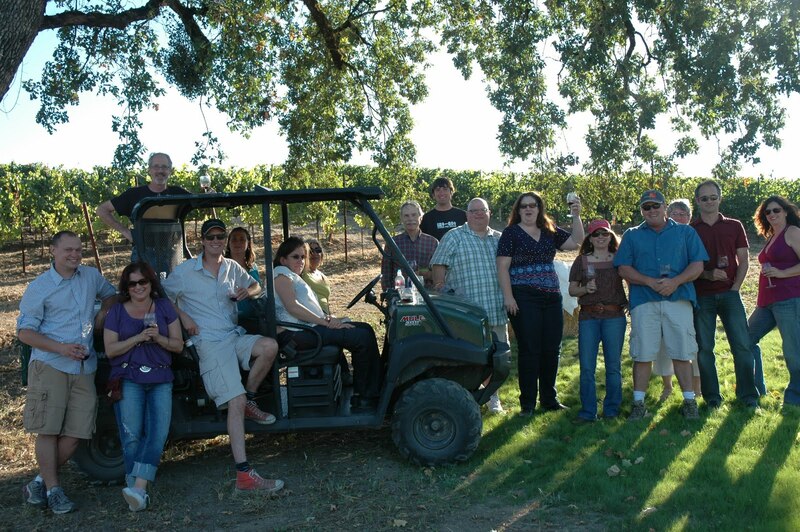 We began the evening by touring the vineyards in a modified hay wagon. Vineyard manager Warren Burton led the way telling us the background and characteristics of each area that was planted. Floodgate vineyards produce a multitude of wines and is planted with clones of Pinot Noir as well as Chardonnay, Gewurztraminer, and Sauvignon Blanc. The vineyard tour was staged with stops that included a food and wine pairing for the particular grapes that had been grown there. First pairing stop-- Prosciutto wrapped around melon paired with an outstanding Sauvignon Blanc by Atascadero Creek. This Sauvignon Blanc had the crisp fruity flavors and acidity that I normally attributed to SB from New Zealand. It was surprising to find that same balance in a local wine. I quickly took a picture of the label for future reference. Pairing Station Two: Artichoke mousse tartlet’s with Cartograph Gewurztraminer. I love this Gewurtz. It’s endlessly satisfying and a delight to drink with it’s bight flavors and dry finish. Pairing Station Three: Bacon and Blue Cheese with Pinot Noir from C. Donatiello Block 15 and Gary Farrell’s Alysian label Floodgate Pinot. These wines were quite different in style and showed the incredible range of the Pinot grape. After the third stop I began to feel a bit like we were in the church of Floodgate and visiting the stations of the cross. I wondered when the collection plate would be passed around. But thankfully, this was not the church of my youth, this was a new religion altogether. Pairing Station Four: Bruschetta and fresh tomato salsa paired with more Alysian Pinot. While we sipped more Pinot on a hillside overlooking the property I noticed the rows at Floodgate were planted so straight that if Warren ever gives up his wine pursuits I think he’d make a top-notch orthodontist. Pairing Station Five: Oysters on the half shell and a bit of Riesling as we watched the sun set. Next we had dinner under the stars. Warren Burton kept us laughing all through out the meal and poured some Bradford Mountain Syrah. Our country BBQ feast featured grilled steaks and a host of side dishes including fingerling potatoes with mint that were deceptively simple--just butter potatoes and mint, but oh so good. The glow and good cheer and camaraderie of that evening will linger with me for quite some time. It really was an evening straight out of a wine lifestyle magazine. But this evening was not a staged photo shoot. It was the real deal. I’d like to thank Warren, Bobbie, Marlene, Maxine and Adam for their hospitality and of course Alan and Serena for making it all happen. NOTE: This post is quite late because I was trying to recover my photos from the evening off a damaged camera disc. Unfortunately, they were all lost. But better to post late than never.